In my last post, I explained how your current competencies could actually be working against the career goals of a manager like yourself.. 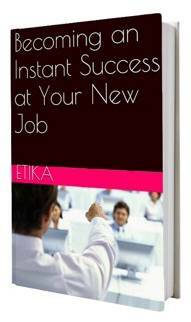 In this post, I begin a four-part series, which will teach you how to take hold of your career. But as we all know, one size does not fit all - especially when it comes to advice. That’s why, over the years, I’ve worked according to four different managerial styles. While there are individual variations, most managers can classify their managerial style into one of four types: Integrator, Entrepreneur, Producer, and Administrator. Fred, from my previous post, is known as an Integrator, as his greatest talent is building and managing teams. Here are the other three: Entrepreneurs are always looking for new growth opportunities; Producers are extremely bottom-line oriented, and Administrators are whizzes at developing and enforcing corporate policy. In this post, I’ll be talking about how an Integrator can achieve the career goals of a manager - ensuring a sustainable career. Integrators are love at first sight for most companies. Within a very short time of being hired, they are well-liked by others and begin building a following of people who will do anything to please them. Given Integrators’ success with people, they are able to form teams almost effortlessly, while miraculously keeping everyone happy and committed. Integrators preach and practice their belief that teams must be both well-informed and satisfied. As such, all projects have an “open door” policy so that everyone is invited to project meetings. At these meetings, Integrators always insist on complete consensus. So before making any decisions, team members always hear each other out and have a chance to comment. But it doesn’t stop there. Integrators believe that keeping a team together means being available for any concerns team members might have - professional or personal - day or night. Integrators and their teams truly have it all. So it’s no surprise that somewhere between 3-5 years down the road, good Integrators are usually offered a promotion, based on their superior reputation at building and handling teams. Entrusted with new challenges and the authority and resources to meet them, Integrators continue to ride the wave of success for another three years or so, eyeing their next promotion on the horizon. But not without hard work. During this time, Integrators are busy perfecting their team-handling skills to a fine art. They are second to none. So one day, when a promotion opportunity is announced, Integrators see their name written all over it and of course apply for the position. With such an exceptional record, they’ve got it in the bag, right? Wrong. They’re actually turned down. Here’s why. Remember the Integrator’s policy of total team involvement? Insistence on consensus? 24/7 availability? These were appropriate when the Integrator was a junior and even a mid-level manager. But developing this mindset came at the expense of taking on other essential skills, such as initiating multiple projects, making quick decisions, and being decisive. So while many Integrators might earn a stellar reputation as team developers, they often become known as the source of bottlenecks when it comes to implementation. So what should Integrators learn from this? If you’re an Integrator, you must develop skills outside your comfort zone. Yes, use your relative advantage when it comes to building and managing teams. Yes, nurture the relationships you have with your staff. 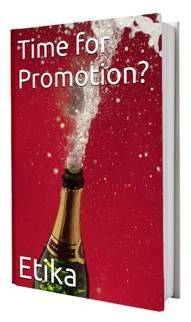 These will allow you entry into the club of potential candidates for promotion. But don’t forget other skills that might not come as naturally to you, for example: making critical decisions on your own or putting forth policies that might not be favored by team members. 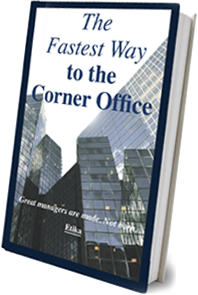 It is only through ensuring your well-roundedness that you will be seriously considered for senior positions. So don’t get off track. Identify what you need to get better at now and begin working on it today.